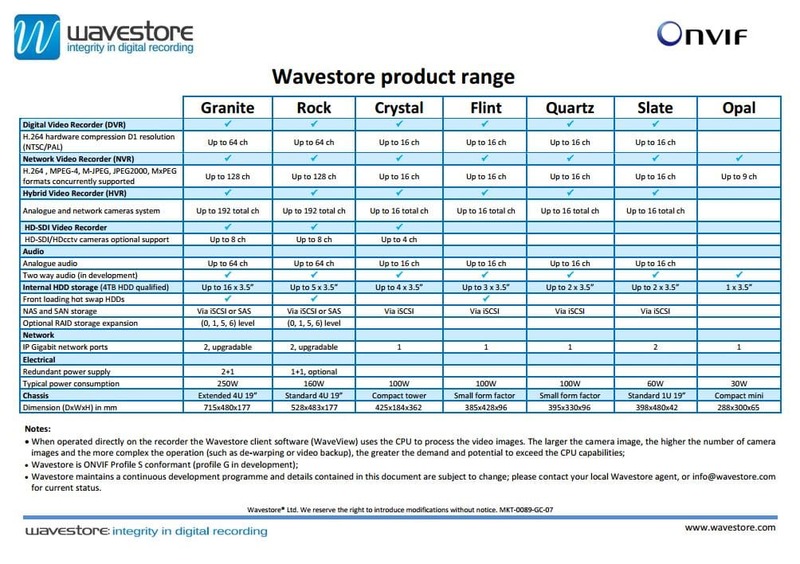 Wavestore products include digital, network and hybrid video servers which can be managed from Windows, Linux and Android operating systems. This is an ideal system to use for Analogue Cameras and IP Cameras to exist on the same platform. 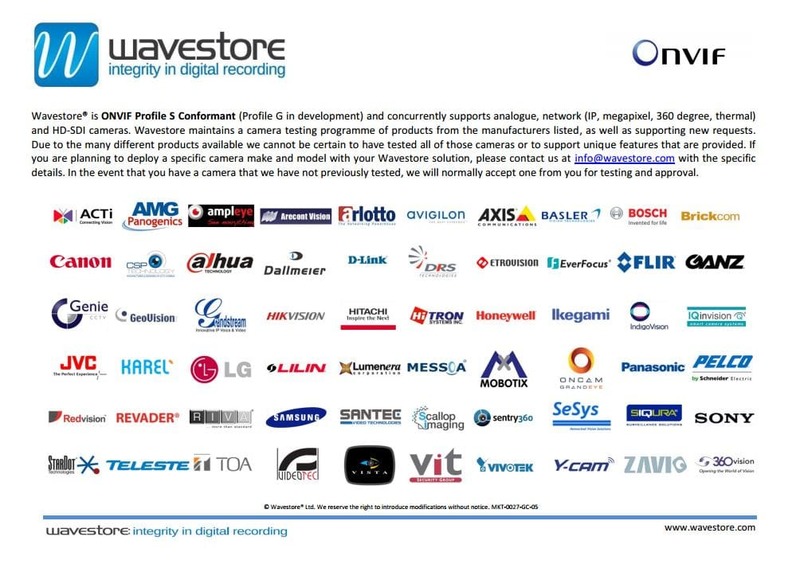 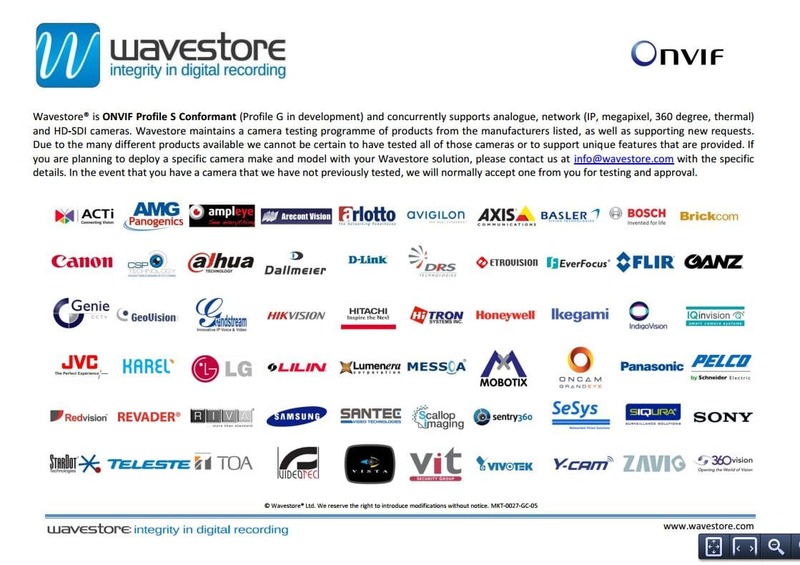 Wavestore is a global provider of professional digital video and audio recording solutions with more than 10 years of experience. 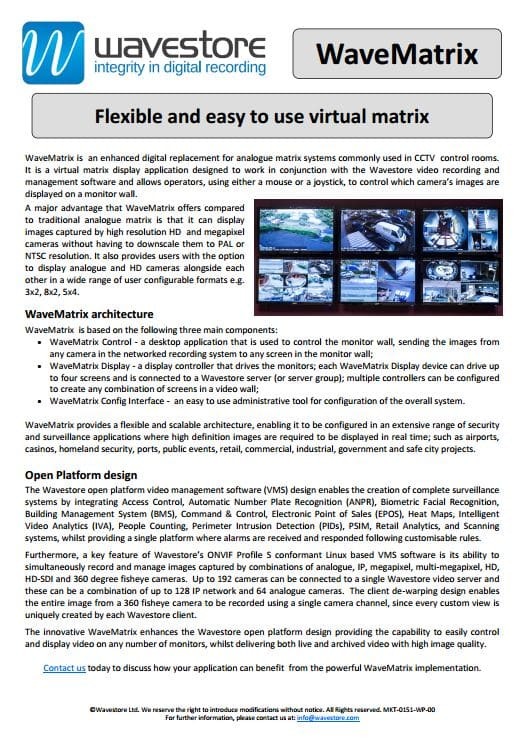 Products include Open Linux based video systems which concurrently support analogue, IP, megapixel, 360 Degree, HD and HDcctv cameras. 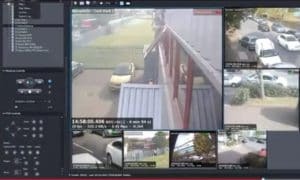 Key features of the open platform systems are the ability to support up to 192 cameras per server; video analytics support; a configurable camera layout; flexible remote viewing platforms; a scalable design; high integrity data retention capability and a simple three-click video export process. 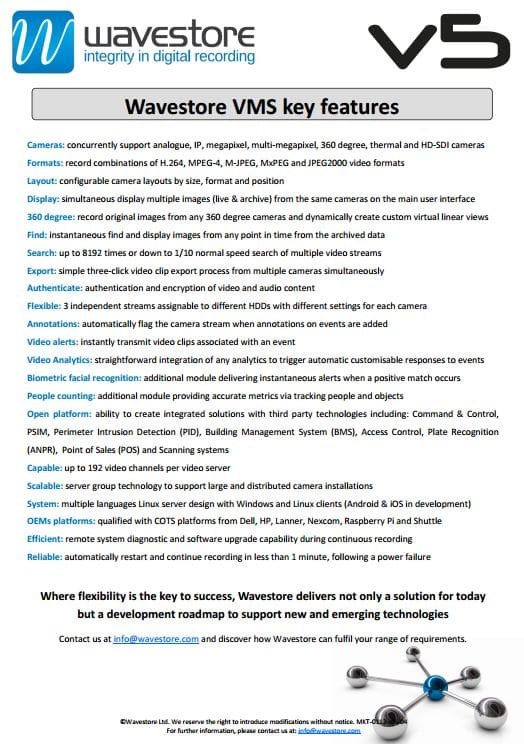 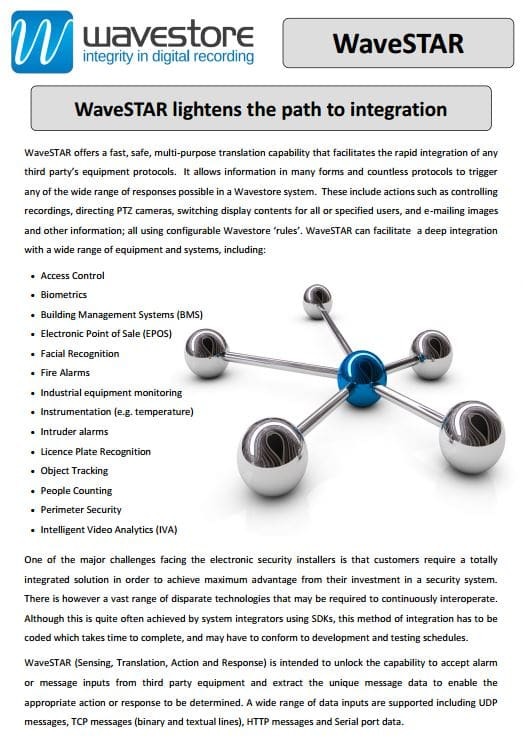 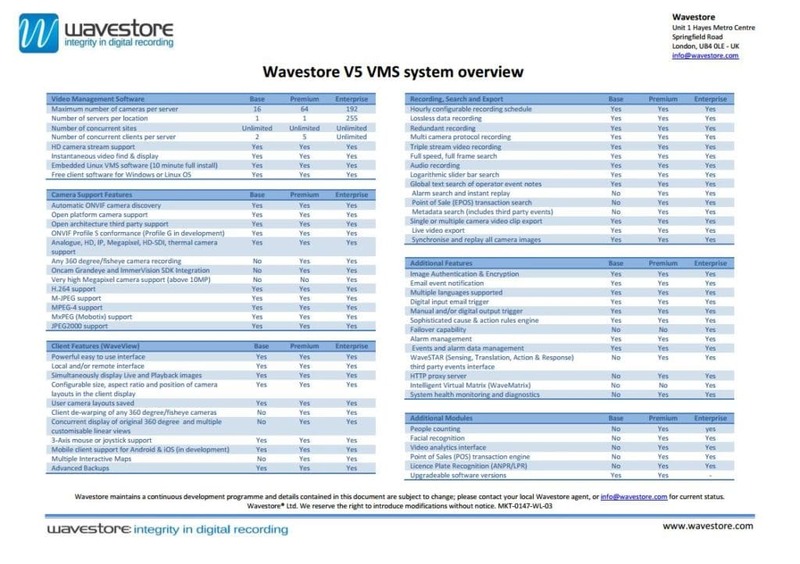 To find out more about the Wavestore video management solution contact us.